Okay, two posts in one day. As my daughter Brigid would say, Woot! 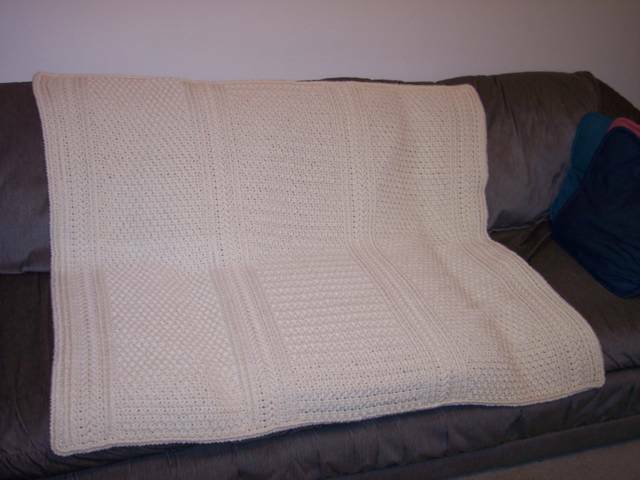 I've crocheted a lot of afghans over the past few years. Here's one of my favorites. I am really proud of this one, because it was rather challenging for me at the time I made it. I'm a member of a crochet mailing list, Crochet Partners. 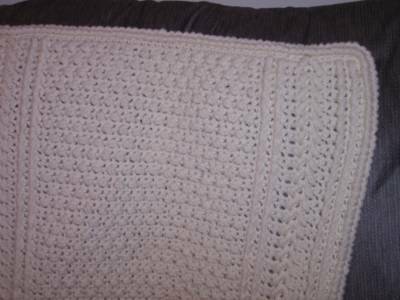 This Aran-style pattern, Hobnail Afghan, is from the Crochet Partners Library. 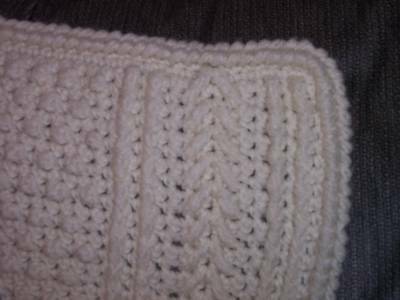 I was wanting to make an Aran sweater for myself, and I thought it would be a good idea to make an Aran afghan first, to get the hang of the complicated stitches. I found the stitches weren't difficult once I got going, and this afghan was a lot of fun to make, but I never did make an Aran sweater. WOW !!! Those are rally beautiful. Your afghan is very beautiful! Excellent work! I am trying to make it and don't understand how to do row 5. Can you help me with pictures or anything. Thankyou. Anonymous - thanks for the kind words. Unfortunately I don't have the pattern anymore! Sorry I can't help you with this.